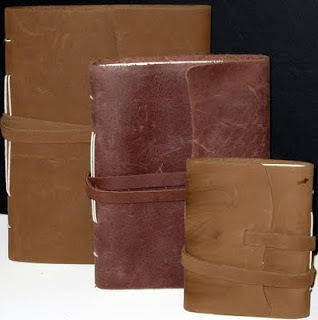 We're pleased to introduce the latest member of our Handmade Rugged Paper and Leather Journals. Each journal is made with top quality leather along with handmade, acid free paper. They are designed to give years of service, with what you write staying just as you wrote it for generations. The leather is soft and it is contourable. So when you put it in your bag or pocket, it'll fit like it belongs! They are ready for you!